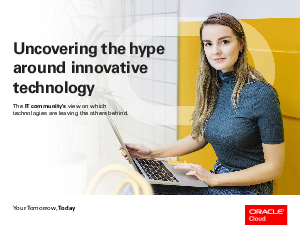 Transformation technologies like IoT, blockchain, AI, cloud security, autonomous and chatbots are all jostling for our attention. But which ones are considered important and which ones are businesses actually using? In August 2018, we asked 4,000 senior decision-makers across 21 markets to tell us how they felt about the different technologies. Read our global survey of what matters most to your IT peers. Download now.